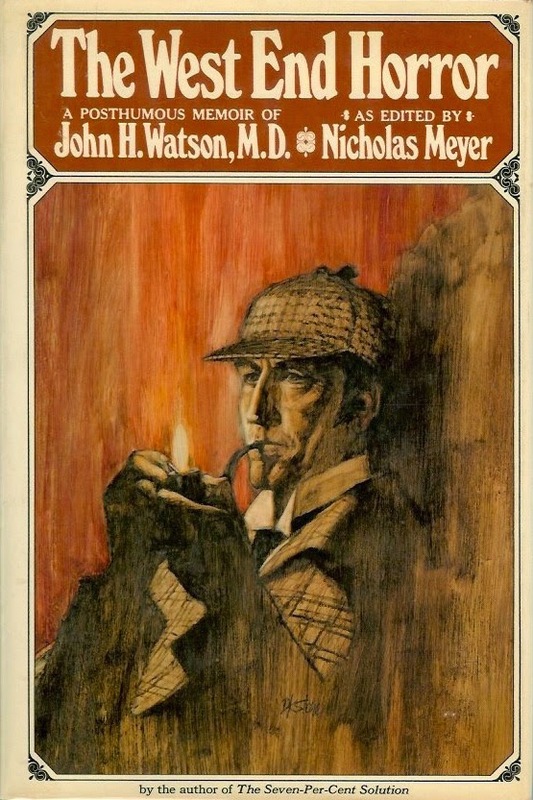 Nicholas Meyer's follow-up to his best-selling first Holmes novel, The Seven-Per-Cent Solution. March, 1895. London. A month of singular occurrences in the West End. First there was the bizarre murder of theatre critic Jonathan McCarthy; the police were baffled. Then came the lawsuit against the Marquess of Queenbury for libel; the public was scandalized. And what of the ingenue at the Savoy, discovered with her throat slashed? Or the police surgeon who disappeared talking with him two corpses from the mortuary? Some of the theatre district's most fashionable and creative luminaries (as well as a number of more marginal participants) were involved or affected by these events: a penniless stage critic and writer named Bernard Shaw; Ellen Terry, the gifted actress and loveliest woman in London; Gilbert and Sullivan; a suspicious box office clerk named Bram Stoker; and aging matinee idol, Henry Irving; an unscrupulous publisher calling himself Frank Harris; and a controversial wit by the name of Oscar Wilde. Scotland Yard is mystified by what appear to be unrelated cases, but to Holmes the matter is elementary: a maniac is on the loose.